Micro Art Space » Micro Art Space GRAND OPENING! 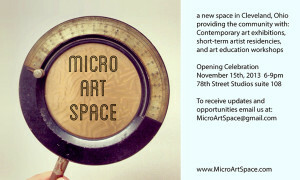 Micro Art Space GRAND OPENING! Opening PARTY Friday November 15th, 2013 6-9pm!